•	Visit the homepage of the Pretty Little Things website and get an opportunity to sign up for the free email newsletter this company offers. Email newsletter subscribers will be invited to take advantage of a special discount on their entire first order and will also receive other coupon codes, discounts, and promo offers sent to them on a weekly basis. •	Visit the SALES section of the Pretty Little Things website to take advantage of exclusive deals, offers, and exclusive savings opportunities. Most of the merchandise available here is available at discounts of up to 40% or more off of traditional prices. •	Free shipping offers are going to be available from time to time from Pretty Little Things. 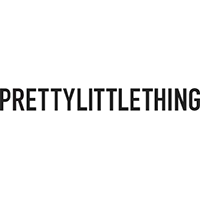 PrettyLittleThing is a woman's apparel shop that offers a 15% student discount on all of their clothing, shoes and accessories. This UK based business offers trendy clothing for women of all ages. They offer regular discounts and clearance savings on most items at seasons end. You can find their return/exchange policy on the home page at the bottom of the page. You can shop for shoes, accessories and clothing by using the drop down menu on the top of the home page. You will also find the ‘sales' tab at the top of the home page as well where all the sale items are listed. For most up to date offers check out Pretty Little Thing on Facebook and Twitter or contact Pretty Little Thing Support for any questions.